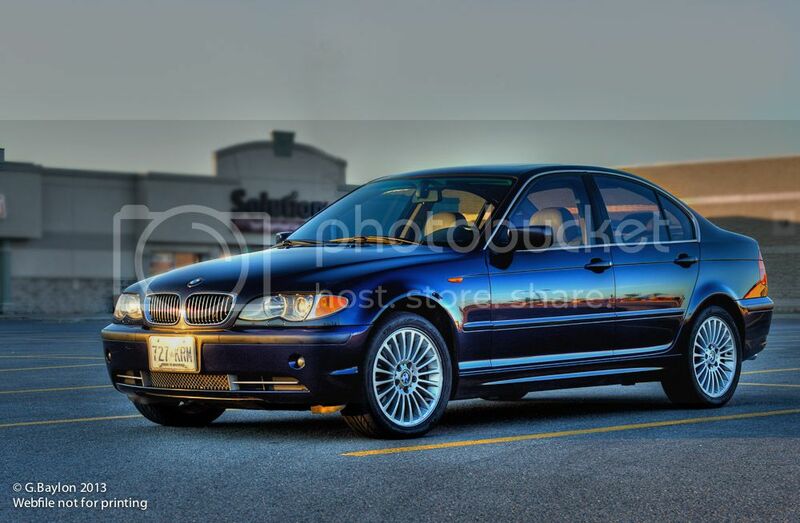 Which 3 series - year/model - for a daily driver? I would pick an E46 over an E36. You can find the 320 and 323, but the 325 is a more power without going up to the 330, which I don't think is necessary. 2002 was the most popular year, there will be more around. We had a 2002 325xi and it was bulletproof. I would look for a vehicle with fewer options, it is the options and electronics that are more likely to fail than the base vehicle. Our 325 had a manual transmission, no premium or sport, but it had heated seats as a special order (and they all have the cold weather package in Canada). When I advertised it I had calls immediately, and the first person to look at it bought it. I wouldn't worry about lemon years, just look for a 2000 model year onwards, after they had built them for a year. More than a year later I finally pulled the trigger. Looks sharp. I like the wheels. Thanks, I like them too... until its time to CLEAN them! BMW wheel cleaner (pump spray). Low dust pads (Axxis deluxe or equivalent). And a set of winter wheels with 5 large spokes. That was my formula.